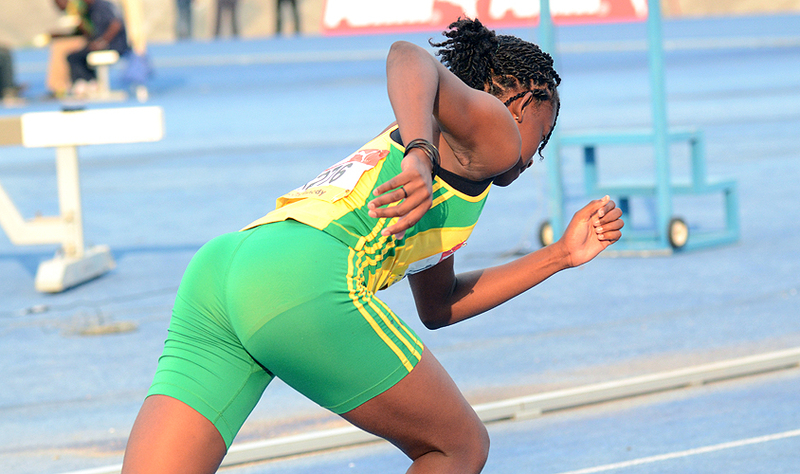 KINGSTON, Jamaica, Sporting Alert — Listen to live streaming coverage of Day 3 from the Boys and Girls Champs 2017 at the National Stadium in Kingston on Hitz 92fm on Thursday. The five-day championships, dubbed as the biggest high school championships in the world, is also available to stream live online at 1spotmedia. At the end of Day 2, Champs 2017 title favourites Kingston College (KC), went to bed as the early leaders on the boys side with 27 points ahead of Jamaica College (JC) on 12 points and Calabar with 11 points. On the girls’ side, Hydel High are the early leaders with 12 points, one more than Immaculate 11 points, with Holmwood High and St. Jago High are tied for third place on 10 points, while defending champions Edwin Allen are on 9 points in fourth. Eight finals will be contested on Thursday’s Day 3 of competition, including seven in the afternoon session, while there are four titles up for the taking in each gender. On the girls’ side, the class 3 high jump, class 4 and class 2 long jump, as well as the steeplechase open are the finals slated for Day 3 at Champs 2017. The Class 1 discus, class 2 shot put, class 3 high jump and steeplechase open are the boys’ finals. Meanwhile, the first rounds of the 100m and 200m semifinals for all classes are also listed on the schedule for Thursday. The 800m semifinals and the heats of the open 4x400m relays will also take place on Day 3.